Loyola University New Orleans College of Law Dean Brian Bromberger recently announced his intention to retire following the spring semester, citing health reasons for his decision. Bromberger, who is celebrating 50 years of teaching this year, took the helm of the law school in August 2003 and has successfully navigated its faculty, staff and students through some of the college’s most difficult years in its nearly 100-year history. Loyola University President Kevin Wildes, S.J., Ph.D., said Bromberger’s impact has been tremendous, both to the College of Law and to the university as a whole. A search committee of nine voting members and two non-voting members has been formed for the appointment of a new dean. Voting members include Law Alumni Board President Richard McCormack; professors Diane Tooley-Knoblett, P. Michael Whipple and Luz Molina; associate professors Lloyd Drury, Stephen Higginson, Blaine LeCesne, Karen Sokol and Etheldra Scoggin. Non-voting members include Law Review Editor-in-Chief Perrey Lee and Student Bar Association President Laura Smith. Following his retirement, Bromberger plans to return to his native Australia to join his family. Bromberger came to Loyola in 2003 from the University of North Carolina at Chapel Hill where he was the associate dean for academic affairs and a professor of law since 1995. He was educated in Australia where he earned a bachelor of laws degree with honors at Melbourne University. He also completed a master of laws degree at the University of Pennsylvania. 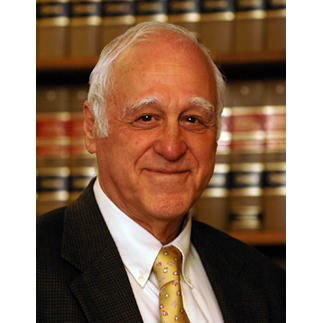 He began his teaching career in law in 1969 and has taught or served as a visiting professor at law schools in Australia, Canada, the United Kingdom and the United States including the University of Pennsylvania, Syracuse University, University of Utah and William and Mary College in Virginia. For more information on the College of Law, contact James Shields in the Office of Public Affairs at 504-861-5888 or jshields@loyno.edu.